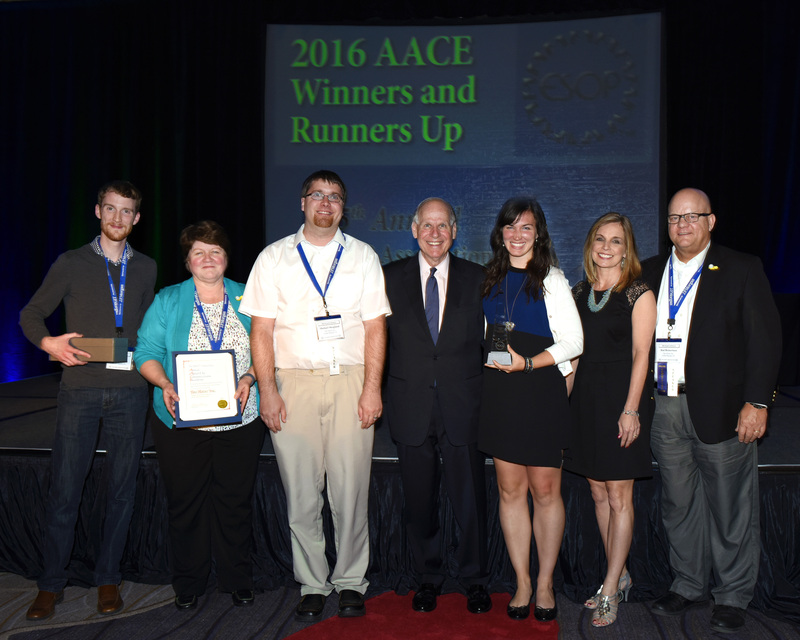 /EINPresswire.com/ -- WASHINGTON, DC--(Marketwired - June 01, 2016) - At its Annual Conference here on May 18, The ESOP Association announced the winners of the Annual Award for Communications Excellence in the Total Communications Category. The award recognizes excellence in a total communications program. Winners are presented in two subcategories: companies with 250 employees or fewer, and those with more than 250 employees. BL Companies, Inc. of King of Prussia, PA, won the award in the smaller company category. Van Meter, Inc., which has headquarters in Cedar Rapids, IA, won the award in the larger company category. "Without doubt, these companies' efforts represent the crème de la crème of communications reaching all employees, of all backgrounds, of all generations-the readers, those who learn visually, those who bond in social events, and those who are 'tech' oriented," said J. Michael Keeling, President of The ESOP Association. The judges were impressed with BL Companies comprehensive, prominent messaging about ESOPs. The company offers a strong orientation for new employee owners, explaining the benefits of joining the firm and of being an employee owner. It sponsored special events each day of Employee Ownership Month, which takes place in October, and provides strong communications, including a colorful newsletter, to employee owners. Van Meter impressed the judges with its use of a unique and consistent theme in its communications. It also provided a wealth of education and training information-including a wealth accumulation tool. The company also offers a calendar of ESOP events. Both companies offer valuable examples of excellence in communicating to employees, in any business or industry. While an ESOP (Employee Stock Ownership Plan) is fundamentally a retirement plan-similar in structure to a 401(k)-it tends to fit well in workplaces that are inclusive, share information, and engage employee owners in running the business. Clearly communicating to employees the value of the company's stock-which all participating employees own-and the factors that drive its value up or down, is vital and helps employees better understand their role in helping the business prosper. The ESOP Association is America's largest employer-sponsored advocacy and education association focused on employee stock ownership plans (ESOPs). Founded in 1978, the Association seeks to enhance federal laws governing ESOPs, provide members with expert information, and fund research via the Employee Ownership Foundation (an affiliate). The ESOP Association's members include ESOP companies, companies considering an ESOP, and service providers that assist in setting up and maintaining ESOPs. Employee owners from BL Companies, Inc. accept the excellence in Total Communications award from ESOP Association President. J. Michael Keeling, May 18, 2016. 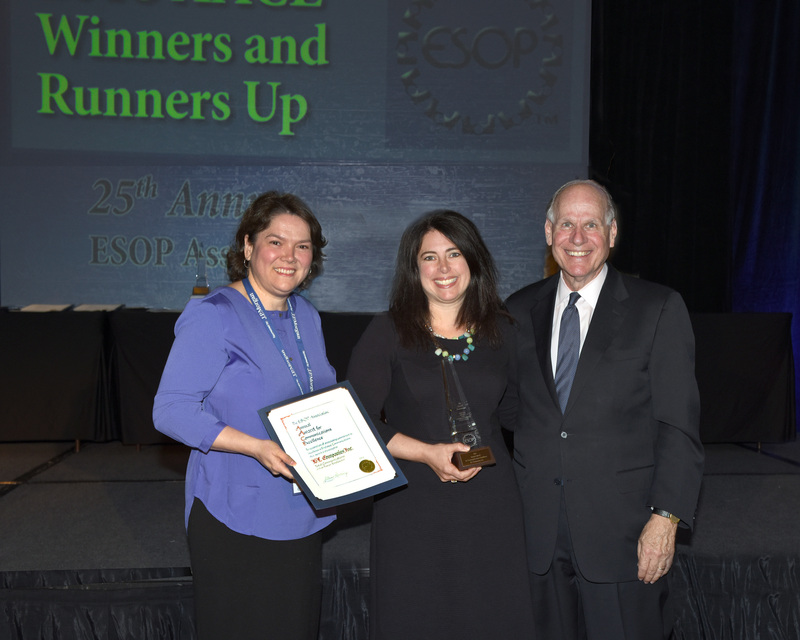 Employee owners from Van Meter Inc., accept the award for excellence in Total Communication from ESOP Association President J. Michael Keeling on May 18, 2016.